Paleoecology Professor Jessica Blois recently became the campus’s 19th recipient of the National Science Foundation (NSF) Faculty Early Career Development Program (CAREER) award. The award provides Blois with $782,449 over the next five years to pursue an agenda that includes research and outreach. Blois will use the CAREER to study how species respond to climate change. Her ultimate goal is to develop models that allow scientists to predict how animals and the environments they inhabit will change in response to the warming climate. To understand what might happen in the future, Blois will look to the past. She’ll examine how animals responded to the last major climate shift, which began some 21,000 years ago as the planet warmed and the glacial ice sheets that covered much of the Earth’s surface began to recede. It was also around that time that some of the most well-known megafauna — mammoths, saber-toothed cats and giant sloths, among others — went extinct. Blois will study the fossils of small mammals to understand how animal communities responded to the last major climate change event. 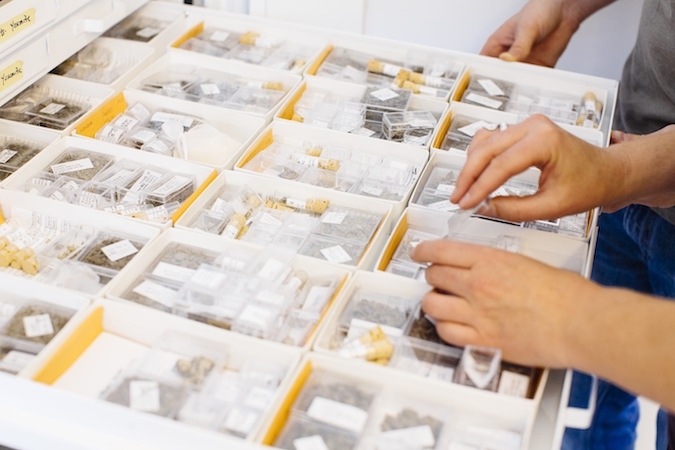 By probing the fossil record and exploring how animal communities and genetic diversity changed in different locations over the past 21,000 years, Blois hopes to find patterns that govern how species respond to warming temperatures and changing environments. Identifying these patterns might help scientists predict how species alive today will respond to the warming climate. “The ideal outcome is that we’re able to predict with high accuracy how species change across space and time in response to climate change,” Blois said. However, Blois said, past climate change events aren’t entirely analogous to what species and ecosystems are experiencing today, and that means that patterns that held true in the past might not hold into the future. 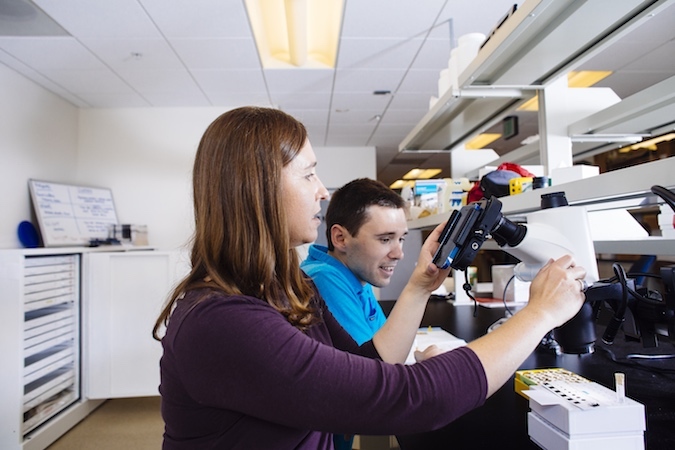 Blois works with a student in her paleoecology lab. Research isn’t the only facet of Blois’s work that the CAREER will support. The award will also fund her education and outreach efforts. 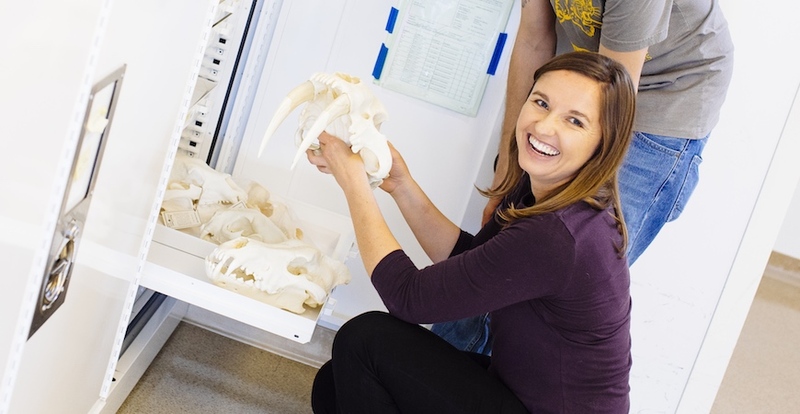 Working with UC Merced’s CalTeach program, Blois will develop “Research in Action” modules to help local teachers explain some of the trickier concepts in paleoecology and paleogenetics to their students. Blois will also develop modules targeted toward UC Merced undergraduates. She hopes to add a lab to the undergraduate paleoecology course in which students will work with real scientific data.